I had a tough time deciding how far to run this morning. I usually don’t have this issue but today, I couldn’t make up my mind. I put on my running gear and headed out the door. I figured I would let the first couple miles decide for me. The temperature was around 58 degrees with a light wind. The first 2 miles felt great. Finally! Mind was made up! 7 miles it is! 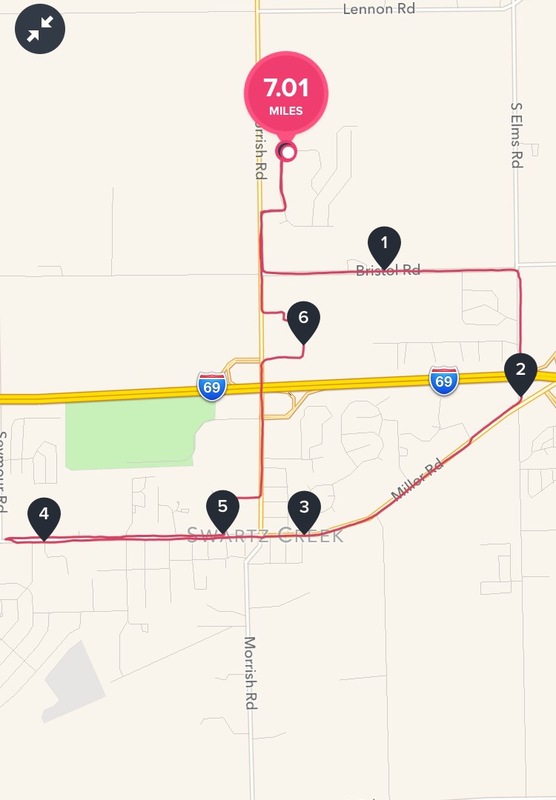 During this morning’s run I thought a lot about my remaining races for the year. I have 3 half marathons and a 10K this fall. My next half marathon is this upcoming Sunday. I’m running in the Fifth Third Capital City River Run in Lansing, MI. The course is flat and fast. My goal is to finish under 1 hour 50 minutes. In October I’m running in the Detroit Marathon (10/16) and the Wicked Halloween 10k (10/30). The Detroit Marathon is one of my favorite races. What other race do you get the opportunity to run in two countries? Running over the Ambassador Bridge and through the Windsor Tunnel is a complete thrill. The Wicked Halloween run is a fun and wacky race. I plan to take it easy for this race and will enjoy seeing the cool costumes runners will be wearing. And finally, the Grand Finale for 2016 is the Indianapolis Monumental Marathon. This will be my first time running in the race. I’ve heard many great things about the course. I’m curious to see what the weather will be like on Saturday November 5th. Regardless, I’ll be ready! Be more, Do more! Let’s Go!